I hope you enjoyed the presentation! The slides are available below. If you'd like to dig deeper into gamification for events then I have a few extras below for you. If you have any questions then send me a message. I'm available for keynotes on gamification and motivation. I can also be hired to design games for your next conference. This free introduction is packed with 67 pages of information on what gamification is and how to design it effectively. For instant access, just enter your email address below. 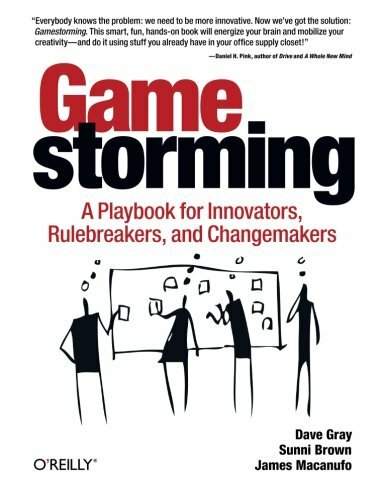 You'll get immediate access to the book, plus you'll receive new articles and tools to help you design gamification effectively. Here's a link to a Google Doc with 3 game ideas I created for the GAMES conference (a few may be familiar to you). Feel free to use them for your own conference (just provide credit with a link to this website). This is truly an excellent and relevant book. It includes more than 80 games to help you break down barriers, communicate better, and generate new ideas, insights, and strategies. Many can be incorporated into your events. Many of the images used for this presentation were from the Unsplash website by Crew. An incredible website that provides free high-resolution photos that you can do whatever you want with. Join thousands who subscribe to my email updates and be the first to hear about new gamification lessons, offers, tools and resources. You'll receive an email to confirm your address. Once you've accepted that you'll start receiving updates soon.